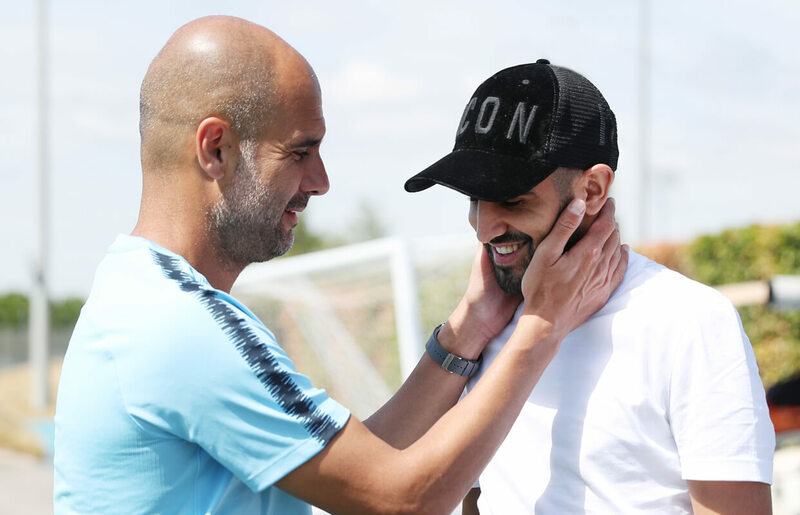 After months of being linked with the club, Riyad Mahrez finally joined Manchester City this summer, becoming the Premier League champions’ first major signing of the transfer window. The 2015/16 PFA Player of the Year, who joined for a club record £60m and will wear the same number 26 shirt he sported at Leicester City, will be hoping to add to the surprise Premier League winner’s medal he won in his four and a half seasons at the King Power Stadium. Born in the northern suburbs of Paris, Mahrez began his career with French lower-league club Quimper, before a move to the more renowned but less enjoyably named Le Havre materialised – reportedly after he had turned down offers from both PSG and Marseille. Despite his slender build, Mahrez prioritised his skills on the ball – and these soon attracted scouts from overseas. A move to then Championship club Leicester was confirmed in January 2014, with promotion to the Premier League secured at the end of that season. Having made his World Cup debut for Algeria that summer, Mahrez made his English top-flight debut in a 2-2 draw at home to Everton in August. A dramatic late surge to safety characterised Leicester’s first season back, before Nigel Pearson was replaced by Claudio Ranieri and that shock title success ensued – with Mahrez absolutely integral to the championship win, his 17 goals and 11 assists earning him the aforementioned PFA Player of the Year award. Neither Mahrez nor Leicester came even close to reproducing the heroics the following season, despite a run to the last eight of the Champions League; but 12 goals and 10 assists last season represented a return to form for Mahrez – and that form has earned him a dream move to join Pep Guardiola at the Etihad. A crucial part of Mahrez’s success with Leicester was the supporting movements of his fellow attackers. With Leicester prioritising a transitional attacking approach, opponents would often move their full-backs higher in possession. This provided Mahrez more space to attack, and thus Leicester were lethal on the break. Crucially, Jamie Vardy often moved across to the left inside channel, dragging defenders with him. This created additional space for Mahrez to drive forward from his preferred position on the right and attack the goal directly (above). This particular movement pattern was integral to Leicester, as Vardy and Mahrez combined so efficiently and devastatingly during transitions. With Mahrez able to both move inside and attack the goal, or outside and cross for onrushing forwards, his unpredictability in the final third creates more chances than many other wingers are able to. When Leicester built with longer spells of possession, Mahrez increased his movements, often moving into central attacking positions – an occasional number 10, in effect. From here, Mahrez becomes more provider than goalscorer, able to unlock defences with deft through balls and incisive quick passing combinations. His goal return will reduce from a central position, but he is still capable of firing in accurate shots on goal from distance. Additionally, Mahrez is a threat from attacking set-pieces – he is a regular taker for both club and country. His accuracy and consistency from both free-kicks and corners are a valuable asset for any team, not least because he offers that important left-footed option. Mahrez will most likely feature as a left or right winger for Manchester City. 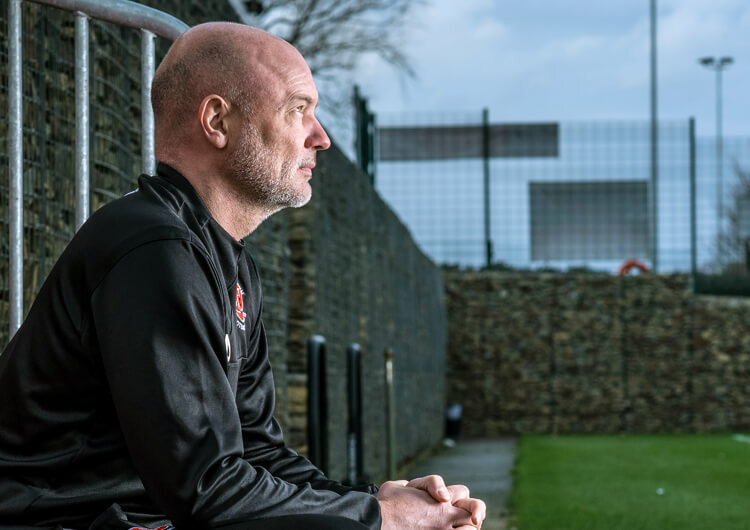 His first challenge will be to adapt from a team that prioritises counter-attacking and prolonged periods without the ball, into a team that has the majority of possession and counter-presses from both midfield and attack. The 27-year-old will face tough competition for the wide attacking roles, with Raheem Sterling, Bernardo Silva and Leroy Sane already at the club. All are superb athletes and fantastic in possession, not to mention younger than the Algerian, so it may come down to their immediate application as the ball is lost. 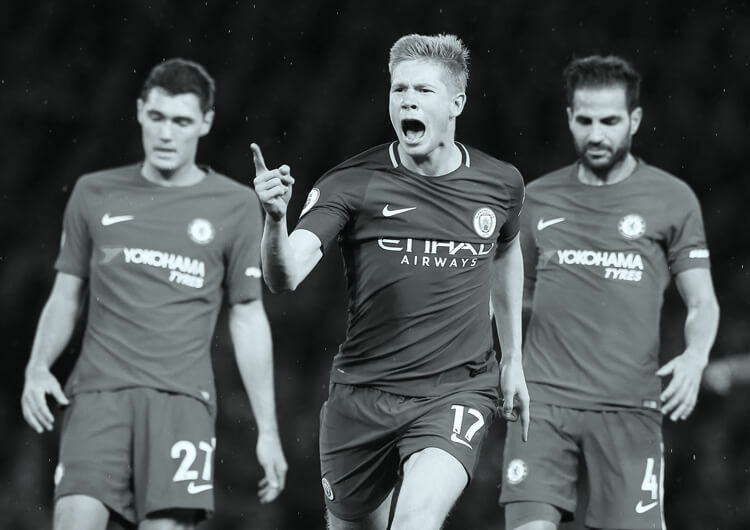 Counter-pressing is a foundation of Pep Guardiola’s methodology, and Mahrez will have to bring a much more consistent and effective standard of work rate and pressing when the ball is lost if he wants to maintain a regular starting berth. At Leicester, Mahrez often occupied the right-midfield role in a 4-4-1-1 structure, but with the licence to move infield and combine with the lone striker – most often Vardy. The direct movements in behind from Vardy pushed back opponents’ defensive lines, which created space for Mahrez to perform his mazy dribbles. With Leicester often defending in a low block, encouraging their opponents to move higher up the pitch, Mahrez excelled when he had open spaces to dribble through. 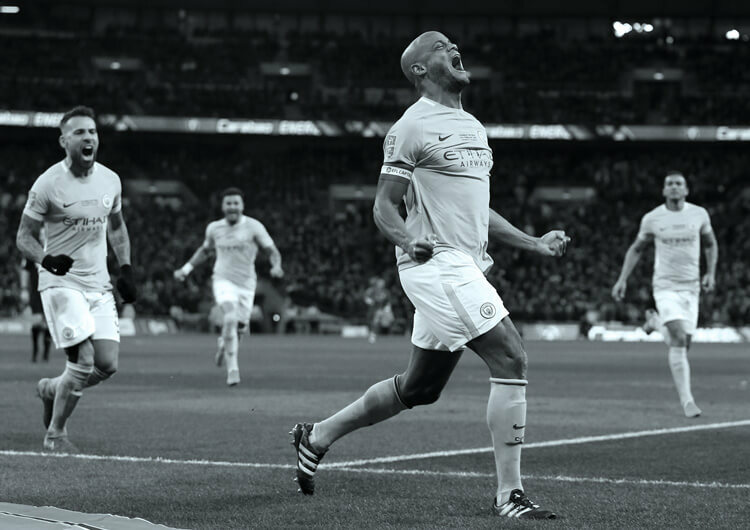 At Manchester City, however, the majority of opponents are likely to sit deep in a low block – so Mahrez will have to rely on his ball control and touch in tight areas. If utilised on the right, his movement infield on to his stronger left foot will compliment City’s right backs – Kyle Walker or Danilo – should they overlap in the same way Danny Simpson did at Leicester (below). 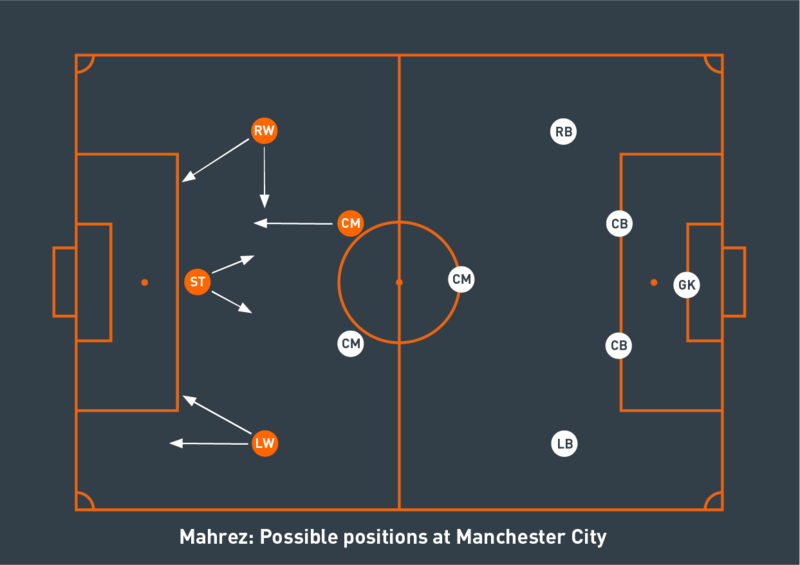 With Guardiola often instructing his full-backs to play narrow when in possession, Mahrez may be afforded more one-on-one situations. A fantastic technician with an abundance of tricks and skills with which he can beat his man and drive into the penalty area, the Algerian can thrive in this environment. No player outside of Man City created more goals than Mahrez in the last Premier League season; Guardiola will look to utilise his guile and speed to create even more chances for his already lethal front line. Enter your details in the field below and stand by for more superb insights and stories from the top names in football. We would love to keep you updated on all the new content coming from our elite coaches. If you want to be part of the Coaches' Voice community, sign up here!